Government sources said Danyal Gilani, a career bureaucrat in Pakistan, has publicly dissociated himself from David Headley. Danyal Gilani had tweeted about delegation meeting with EAM. Pakistan's choice of delegates for former Prime Minister Atal Bihari Vajpayee's funeral in Delhi last week has raised eyebrows in India. Among the five delegates was Danyal Gilani, the half-brother of David Coleman Headley - the Pakistani-American terrorist jailed in the US over his role in the 26/11 Mumbai terror strike. David Headley - who recced various Indian cities before the 26/11 attacks - was arrested in 2009. 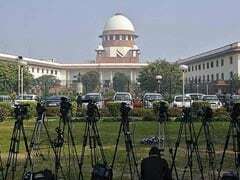 He had testified before a court in Mumbai through video conferencing from his prison in the US during the trial of Mumbai attacks mastermind Abu Jundal. Policy observers are surprised at the choice of Danyal Gilani, who is posted as the Chairman of Central Film Censor Board. "The delegation attended the funeral and was to meet the external affairs minister also. It would have been very embarrassing for the government to explain," a senior official said. Others argue that if he has not been declared persona non grata by India, he cannot be stopped from visiting if he is part of a Pakistani delegation. 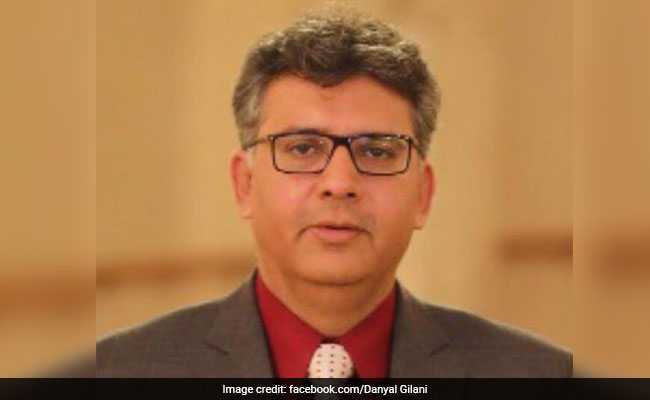 Government sources said Danyal Gilani, a career bureaucrat in Pakistan, has publicly dissociated himself from David Headley. Sources said he has so far not been found to have any terror links and is not on any Indian blacklist. "Danyal Gilani was issued visa after checking the blacklist. He does not figure in our blacklist. There are no reports of his links to terrorism," a senior government official told NDTV. Danyal Gilani, however, did go to funeral venue but did not attend the courtesy meeting of Pakistan's caretaker law minister Syed Ali Zaffar with foreign minister Sushma Swaraj. Pakistan High Commissioner Sohail Mehmood, law minister Syed Ali Zaffar, foreign ministry spokesperson and Director General of South Asia Mehmood Faizal had met Ms Swaraj, the officials said. A controversy had shadowed the visit of Canadian Prime Minister Justin Trudeau in February when a convicted pro-Khalistan terrorist, Jaspal Atwal, was found present at an official event hosted for the Canadian Prime Minister. The government had to inquire into how a separatist leader was allowed back into the country without any red-flags being raised. India has repeatedly called out Pakistan over its military establishment's support to terrorists acting from its soil. Pakistan's new Prime Minister, cricketer-turned politician Imran Khan, has however, said that wanted peace with India and was ready "take two steps if India took one". In the recently held elections, Mr Khan's party has won with a wafer thin majority. His rivals have maintained the election was rigged and he won only with the backing of the military establishment. But most of the 450-odd candidates known for links with Islamic radical or terror groups, including Lashkar-e Taiba chief Hafiz Sayeed's son-in-law have bitten the dust.